While every TEDx organizer understands just how important the choice of venue is, it’s not uncommon for these same organizers to underestimate the time it actually takes to select the best venue for each event. 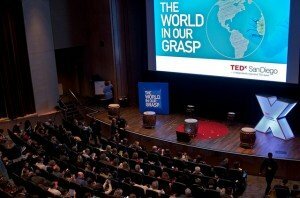 Nearly 10,000 TEDx events have been produced over the past five years, and each one was designed to accommodate a unique set of needs, based on the local audience. Smaller and more intimate, larger and more inclusive? Elegant, charming, formal, cool, hip, rustic? Auditorium, concert hall, meeting room, gymnasium, warehouse, theatre? 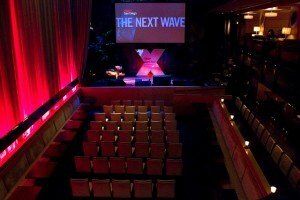 In the case of TEDxSanDiego, our first event was held at Anthology, a very cool, downtown music venue. Truly a one of a kind venue, with floor seating in front of the stage and along the south rail, booths along the wall, both on the first and second levels, with more seating on the third floor overlooking the crowd, and featuring a million dollar sound system. Supper club lighting added to the warmth and intimacy of Anthology, and as attendees shifted seats during the day they could enjoy the speakers and performers from a new perspective. Irwin M. Jacobs Qualcomm Hall was home for TEDxSanDiego in 2011 and 2012, and offered something new in size, structure, and capability. The auditorium seating, with a capacity of 500+, and a larger stage greatly expanded the look and feel of the event. The venue also opened up to an expansive courtyard that made way for art installations, such as a globe rendition by 3D chalk artist Tracy Lee Stum, and provide outdoor seating during the breaks and lunch. Shifting gears again, with the theme of re:THINK, the 2013 edition of TEDxSanDiego took place in the Calit2 Auditorium inside Atkinson Hall located on the UC San Diego campus. Once again the venue felt so intimate, as though you could reach out and touch the speakers and performers. As you might expect, the audience felt right at home, and as with Qualcomm, the outdoor courtyard was ideal for enjoying the day with newfound friends. What Venue to Select in 2014? While there are many benefits to a smaller venue, they have a downside in that production and logistics costs remain about the same, as do travel costs for speakers and performers, and there are fewer seats available to generate the revenue required to put on first class show. And with the popularity of TEDTalks soaring over the past few years, another issue in a large city like San Diego is that our TEDx events always sell out, which means that a lot of folks end up on a waiting list, or miss out on the experience entirely. So the thought for 2014 was to find a larger venue that could satisfy the insatiable demand for seats, yet was built as a performance space with elegance and proper acoustics. 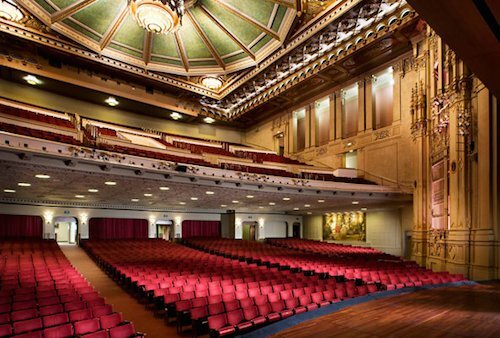 The search for an ideal venue search took us back downtown, to where TEDxSanDiego began, and ended with the selection of Copley Symphony Hall. 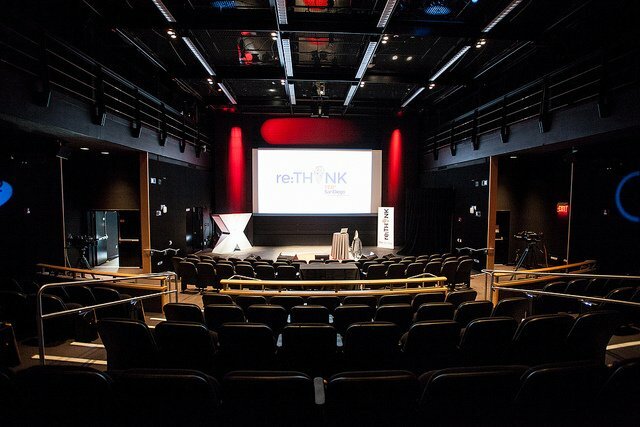 We hope you’re as excited as we are about the new digs, and our program team is working diligently to find the perfect mix of speakers and performers to grace the stage on November 8, 2014. Sign up for our Email Interest List and be the first to know when the registration process begins.